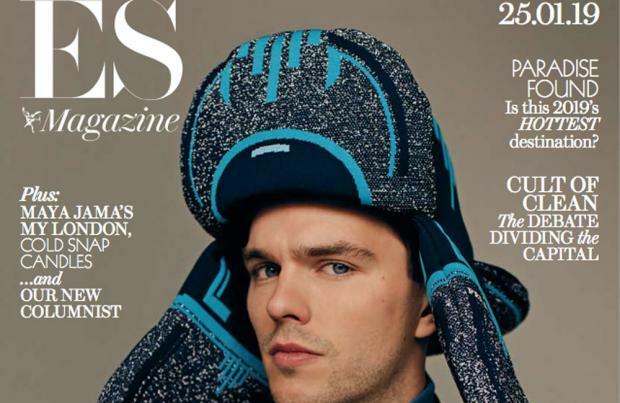 According to Nicholas Hoult, working with Jennifer Lawrence on 'Dark Phoenix' was like being reunited with "family"
Nicholas Hoult says working with Jennifer Lawrence on 'Dark Phoenix' was like being reunited with "family". The 29-year-old actor – who previously dated the Oscar-winning actress – has insisted they've still got a great relationship despite their split, likening the on-set atmosphere to that of the British drama series 'Skins'. Nicholas – who starred in 'Skins' earlier in his career – explained: "It's pretty similar to 'Skins', we're a big family, we've been doing those movies since we were 20 years old. "As much as the 'Skins' crowd grew up together, the 'X-Men' crowd really grew up together. It's been a good eight, nine years making those movies. We've all got to get along, we've all got to have fun." Nicholas stars as Beast in the 'X-Men' franchise, and he's admitted to having more creative freedom whilst working on the latest film. The actor told this week's issue of ES Magazine: "The really beautiful thing about this last film is that [writer and director] Kim Berger has given me somewhere nice and new to experiment and go with the character. Which is cool." Meanwhile, Olivia Colman – who starred alongside Nicholas in 'The Favourite' – recently hailed the actor, saying he has a "very naughty twinkle". Olivia admitted he was the funniest of the movie's star-studded cast, which also included the likes of Emma Stone and Rachel Weisz. Speaking about Nicholas – who plays the political schemer Robert Harley – Olivia shared: "He is funny anyway, he has a very naughty twinkle. When you put him in heels, a three-foot wig and lipstick ... we couldn't look him in the eye." The full interview appears in this week's edition of ES Magazine on Thursday (24.01.19).